From the development of the U-2 to the Stealth fighter, the never-before-told story behind America's high-stakes quest to dominate the skies. Skunk Works is the true story of America's most secret and successful aerospace operation. 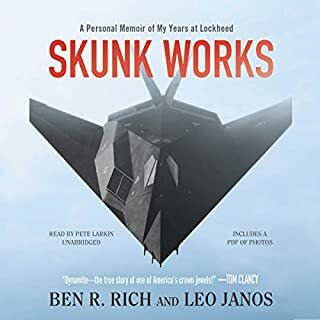 As recounted by Ben Rich, the operation's brilliant boss for nearly two decades, the chronicle of Lockheed's legendary Skunk Works is a drama of Cold War confrontations and Gulf War air combat, of extraordinary feats of engineering and human achievement against fantastic odds. Here for the first time, in rich human, political, and scientific detail, is the complete story of how the bomb was developed, from the turn-of-the-century discovery of the vast energy locked inside the atom to the dropping of the first bombs on Japan. Few great discoveries have evolved so swiftly - or have been so misunderstood. From the theoretical discussions of nuclear energy to the bright glare of Trinity, there was a span of hardly more than 25 years. What began as merely an interesting speculative problem in physics grew into the Manhattan Project and then into the bomb with frightening rapidity, while scientists known only to their peers - Szilard, Teller, Oppenheimer, Bohr, Meitner, Fermi, Lawrence, and yon Neumann - stepped from their ivory towers into the limelight. 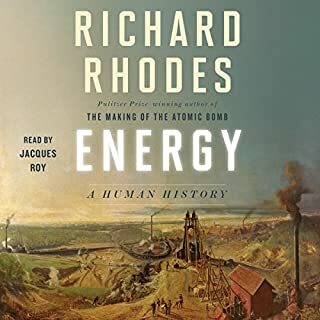 Richard Rhodes takes us on that journey step by step, minute by minute, and gives us the definitive story of man's most awesome discovery and invention. 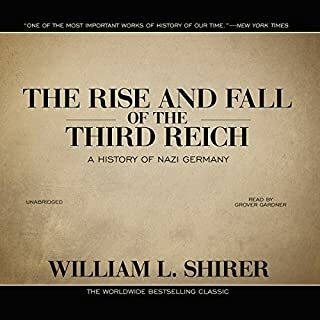 The Making of the Atomic Bomb has been compared in its sweep and importance to William L. Shirer's The Rise and Fall of the Third Reich. It is at once a narrative tour de force and a document as powerful as its subject. The Pulitzer Prize winning history of the making of the atomic bomb. 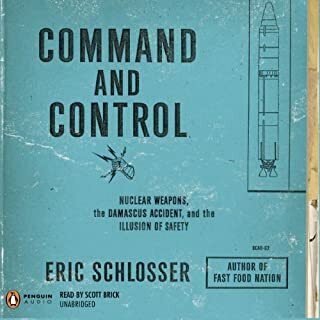 The book follows the discovery of radioactivity through to the realization that certain elements could be split in a self-sustaining chain reaction which made possible the atomic bombs. The author manages to cover the science involved in a clear and concise manner that never overwhelms. He also paints a vivid picture of the various personalities involved, their backgrounds, conflicts and beliefs. I have read this book twice and listened to this version once. Unfortunately, the narrator is weak. He mispronounces names and places. Consonants often disappear up his nose. His attempt at accents and voices is preposterous. This important and well-crafted book deserved better. When I started this a month ago at an hour a day I hoped for a journey of education. I missed the boat on that. This is the compilation of too many lives to imagine. Details, Facts, Context. The 'all in' experience of GREATNESS within the context of not only humanity, but also universal everything from origin to extinction . I couldn't miss the next part and I cant wait to explore history with this genius next and again. 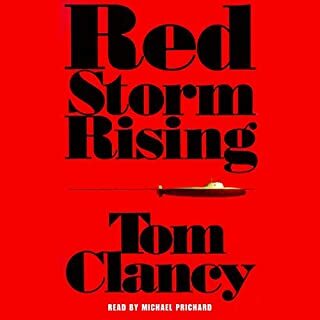 Great Author, Great Narration. BUY NOW. Never regret. Several books in one. The science, the history, the raw reality of war, the profound manifest horror of the atom bomb. 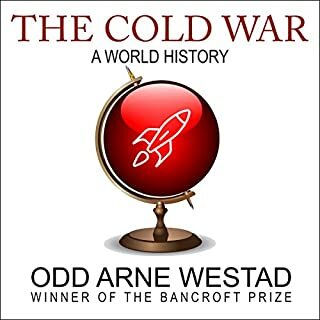 Rich in biographical and just enough technical detail; a rewarding experience about an event of profound consequence that has left humanity forever changed. This book has some dense topics and could get bogged down in explanations. But instead it flows effortlessly. All explained thoroughly, smoothly, and entertainingly! At no point does it feel like you are learning physics. 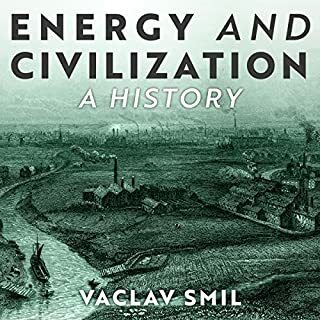 But he starts by giving a good solid entertaining history of the physics needed for the later engineering and political discussions. 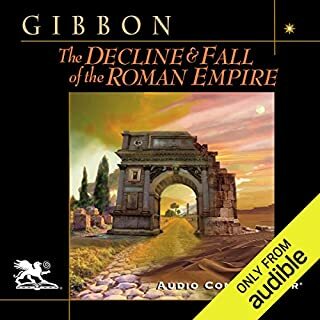 I listen to many nonfiction audiobooks and I've never heard Holter Graham before. But he is immediately one of my very favorites. He does a wonderful job keeping the material fun. This book won every non-Fiction award and still stands up today. 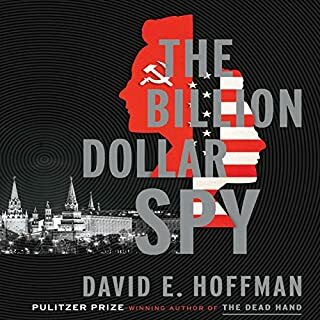 If you are interested in this topic you will not find a better book than this. There is no acceptable reason not to select this book if you like this topic. A brilliant author is drowned by its narrator. 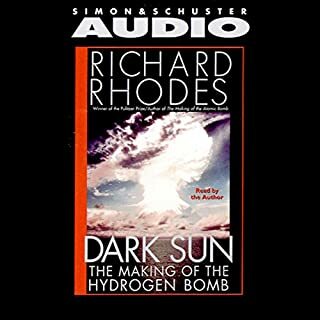 Richard Rhodes' "A Dark Sun: The Making of the Hydrogen Bomb" I rank up there with Bill Bryson's "A Short History of Nearly Everything". Both authors reading their own material - an intimacy with their knowledge carves such authentic presence into their narrative that it becomes transparent, effortless and all you want is more. Has The Making of the Atomic Bomb turned you off from other books in this genre? Unlistenable after experiencing the author's own reading of "A Dark Sun". The book is drowned in a hyperbolically emphatic staccato of a voice see-sawing like a bee buzz dive-bombing through every sentence. Great science lost to over presentation. Please be a leaf on the river and not boulder in the middle of it. Listen to a sample of A Dark Sun. Feel the difference. It is sad for us to lose this book. Same as with "A Winters Tale", a book I'd read and loved deeply but the narrator made it torture. This was a very fascinating book on many levels. This is an excellent book! Well worth the 37 hours of listening time. I may even have to get a print edition to go over some parts again. The actual final bomb is really anticlimatic to the entire development process which brought together a wide variety of people, places and events that eventually lead to the establishment of an incredible secret infrastructure to put all the pieces together. Get you pen and paper out to help keep track of all the key individuals and supplement your listening with other online resources to get more out of it. Don't let the lack of science background scare you despite its in depth treatment of certain topics. Just be impressed with the science and more importantly the people that figured it out. 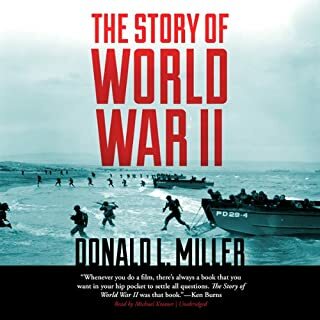 This book is the unquestionable standard for understanding ALL the events leading up to the detonation of the first Atomic bomb and its subsequent use against Japan. The details are all here. It starts from the very beginning when physicists were just starting to arrange elements on the periodic table and ends when Hirohito realizes the futility of going forward with the war, thereby saving his country from further despair. It's a well written book, but it ended too early. As you learn, the fission explosions at Trinity and elsewhere were literally just a precursor for what the atomic scientists called "The Super". And surprising to me, the plans were already on the board when Trinity lit up the morning sky over New Mexico. I think we need a equally well written book as to how Trinity evolved into the Titian 2 program with 9 Megaton warheads ready to strike anywhere in the world. The historical coverage was pretty thorough. As a story, though, it jumped around in time, which made the history a little disjointed. There is only one narrating voice, which also added to confusion in the performance. What is really disappointing on a very scientific and technical subject is the non-scientific delivery of basic units of time. Where time units were abbreviated in the text as 's' (for seconds) and 'ms' (for milliseconds), they were read as 's' and 'ms' in the narration. What did you love best about The Making of the Atomic Bomb? Who would you have cast as narrator instead of Holter Graham? I would find a narrator who takes responsibility for pronouncing names and foreign words at least somewhat correctly. For a narrator to make so many mistakes as Graham did is very unprofessional. He even pronounced the often recurring names like Feynman, von Neumann, and Göttingen incorrectly. 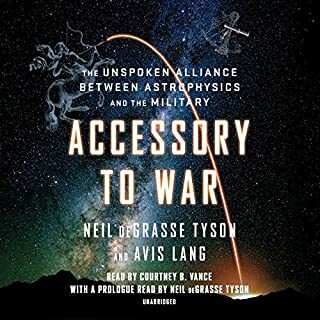 This is such a fantastic book about a subject very important to our species' history, you would think the narrator would put a little effort into finding out the correct pronunciations, and practicing them if necessary. Epic and very moving story. What made the experience of listening to The Making of the Atomic Bomb the most enjoyable? Excellent book. Filled with tiny details. Enjoyed and learned an important history. A complain: One of the highly used words in the book is 'Goettingen'. It is not pronounced properly throughout the book. I heard many different pronunciation of Goettingen. It is one of the important cities concerning the complete history of quantum mechanics. Its worth pronouncing it correctly. So, could give five stars. If you could sum up The Making of the Atomic Bomb in three words, what would they be? Richard Rodes' book is a genuine tour de force, and is an exemplar of detailed popular science. 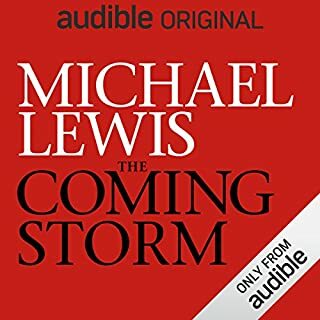 I'm very glad to see it on Audible. I've been waiting for this for a long time. However... to someone who is even vaguely aware of the story, and the characters and places that are so prominent, the narration is very jarring. The narrator mispronounces about 70-75% of foreign words. It would (indeed should) have been trivially easy to give poor Mr Graham a pronunciation guide. What other book might you compare The Making of the Atomic Bomb to and why? Dark Sun, also by Richard Rhodes. It is a continuation of the story told by The Making of the Atomic Bomb. Would you be willing to try another one of Holter Graham’s performances? Under duress - for example, if the only unabridged narration of Dark Sun was by him, I would consider it, but PLEASE either educate him on pronunciation or get someone else to narrate it. This film will disappoint anyone who has read and enjoyed the book. Don't watch it! I use the world masterpiece with a certain reservation. It is overused. Abused even. It is a word that can easily lose its power if diffused into too many works by too many authors. However, I can say unabashedly that this book, this history, is a masterpiece of narrative history. It is powerful, inspirational, sad, detailed, thrilling, chilling. It has hundreds of characters. Some like the early physicists almost seem like lucky gods born at the right time. How can you not love Albert Einstein, Niels Bohr, Ernest Rutherford, Marie Curie? These giants seemed to fall into the right spot in history with all the brain cells needed. But on top of this, they were amazing men and women; kind and nobel. They seem to possess not just the smarts to deal with post-Newtonian physics, but a certain amount of poetry and philosophy. They seem like the Founding Fathers (and mothers) of the 20th century and the modern age. There are also the smaller gods. The gods of war. Oppenheimer, Fermi, Teller, etc. Richard Rhodes covers them all. 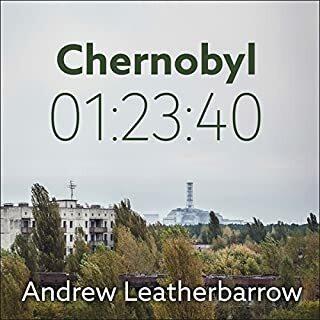 He explores the development of nuclear physics without losing the reader, he follows the development of the bomb and the enrichment of uranium and production of plutonium. He details the work and the failures in Japan and German. 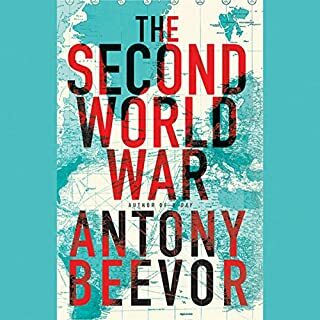 He provides a fair assessment of the environment and the horror of World War 2. He literally leaves few stones unturned. The bombs when they come seem both anticipated and surprising. I felt a pressure in my shoulders and neck as I read about the Trinity tests and the dropping of the bombs on Hiroshima and Nagasaki. But Rhodes doesn't let the reader off the hook. He spend almost 20 pages detailing the oral histories of those who saw the effects of the bombs first hand in Hiroshima. Those who lived to tell the horrible tale. If there are heroes in this tale, they are always heroes with a dark asterisk, or Quixotic heroes. Bohr trying to convince politicians to take risks with peace, to convince war leaders to think beyond the dropping of a bomb. Szilard trying desperately to convince scientists to remain quiet in the beginning to avoid Germany finding out, and later working to convince England and the US to include the Soviet Union to avoid an arms race. 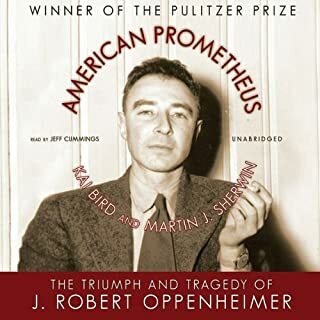 There is Oppenheimer and his struggles with the fate that his gifts provided for him to midwifing this rough beast into existence. It is a noble and a sad and a horrific and a beautiful book all at once and it deserved all of the awards (Pulitzer Prize, National Book Award, National Book Critics Circle Award) it won. I have read hundreds of nonfiction books and thousand of books, and only a dozen may be better. Monumental, Breathtaking! H Graham is fantastic!!! Would you listen to The Making of the Atomic Bomb again? Why? I am listening it again. 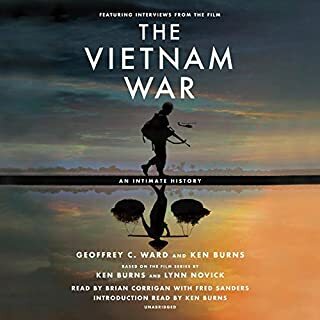 Although I am new to Audible, in my relatively short experience, the narrator, Holter Graham, is unquestionably the best I have come across. Men Who Made a New Physics: Physicists and the Quantum Theory, by Barbara Lovett Cline, an excellent treatise on the history of Quantum Physics. Have you listened to any of Holter Graham’s other performances before? How does this one compare? No but I would like to. 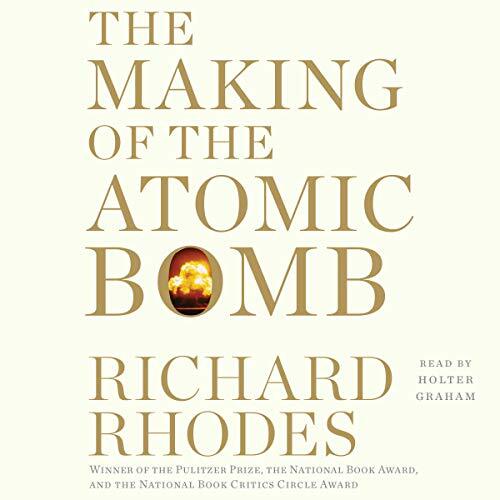 THE MAKING OF THE ATOMIC BOMB by Richard RhodesIs a breathtaking journey through the history of nuclear physics and the development of Atomic Theory. It is a masterpiece where Mr. Rhodes regales us with his gift for presenting difficult and intricate concepts in a very logical, insightful, colorful, and above all entertaining fashion.Loosely speaking, the first part of the book covers the key steps that carved the foundations of atomic theory: we get to witness J.J. Thompson discovering the electron; Ernest Rutherford realizing the existence of the nucleus and postulating his “Solar System” model of the atom; Niels Bohr, with a little help from spectroscopy improving that model and carving his more realistic Shell and Orbital design; Chadwick stalking and finally uncovering the neutron; Henri Becquerel and the Curies discovering radioactivity; Heisenberg working his Uncertainty Principle, Schrodinger developing wave mechanics, Pauli his Exclusion Principle. In addition, we become familiar with de Hevesy, John von Neumann, Wigner, Dirac, Millikan, Max Born, Arnold Sommerfeld, Paul Ehrenfest, in summary, all the big architects of Quantum Mechanics and modern physics. 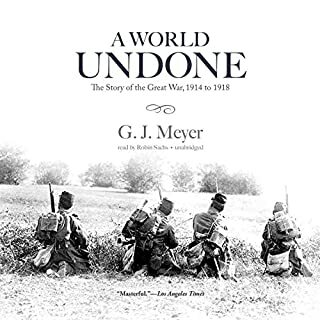 But what makes the book a truly superior piece is that Mr. Rhodes, while impeccably describing the science, he submerges the reader into the very personal and complex psychology of each of the characters and the historic context of the time. We see each of these great scientists come to life and wander through history in front of our eyes immersed in the chaotic social and military storm that surrounded the cataclysmic days of the First and Second World Wars.The second part of the book deals more specifically with the creation and the political steps leading to the use of the first atomic bombs on civilian populations by the United States government. We get to see Leo Szilard, the true brain behind the first idea of the atomic bomb and the first to conceptualize the science behind it and its potential consequences; we see Otto Hahn splitting the atom without realizing it and Lise Meitner and Otto Freisch interpreting and using for the first time the term “fission” to name the event; Enrico Fermi “slowing neutrons” and creating a sustained chain reaction; Wigner creating plutonium and enriching uranium; all of this, leading triumphantly to Los Alamos where we witness Edward Teller, Luis Alvarez, Hans Bethe, Lawrence and above all, Robert Oppenheimer, “I am become death, the destroyer of worlds”, where they orchestrated the biggest human effort and enterprise ever achieved: the ability to create the means of our own destruction. Mr. Rhodes cold and non-judgmental recompilation of first hand witnesses and victims of the explosions is both pathetic and truly horrifying. The harrowing images of children aimlessly wandering and holding strips of their own skin, women without feet walking on their ankles, or a man holding his eye in one hand create an infernal motion picture in our brain whose memory is very hard if not impossible to forget. At 790 comprehensive pages excluding Notes, Bibliography, Photo Credits and Index -886 in total- The Making of the Atomic Bomb is a monumental achievement that deserves all the accolades and awards it has gathered through the years. This book is a veritable must read, a must have, a genuine five stars, a classic.